For any of you out there that may not be aware, wedding (and civil partnership) season is well underway, which means it’s also Stag and Hen season too. 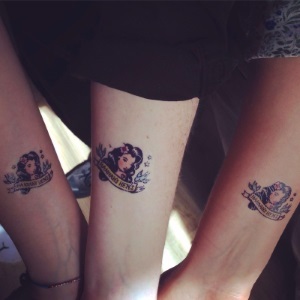 Tattumi has been doing some quality Stag and Hen Party temporary tattoos to accompany the merriment, mirth, mayhem and mischief that these rites of passage bring. If you are a best man, or chief bridesmaid, then the onus of pulling together a night (or nights) to remember often falls upon you. Organisation and patience can be tested as you attempt to herd and coerce sometimes quite a diverse and numerous bunch of cats (or hens or stags) to agree upon, pay up, turn up and get involved with the festivities. And all while maintaining the group identity, bonding and purpose of the do. – sending-off (and/or sending-up) a good friend in style. Actual stags obviously. Check out the gallery shot above. The bride/groom to be’s name/face? The stag’s mum’s face inside a love heart? Some skull and heart badassery. “Pussay Patrol” from the Inbetweeners movie? A misspelt horror of a tattoo to prank the bride with. A terrible portrait of the partner to be. The lists could go on… Just get on our customised tattoo designer and let your imagination take hold. Good discounts available for multiple orders. 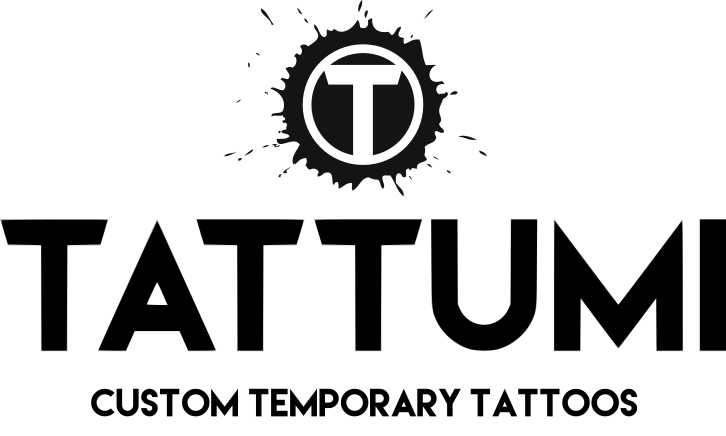 Please comment, share and tag #tattumi with your best photos and ideas. The earliest reference to stag and hen dos go back to ancient Greece where Proaulia rituals of bathing, oils, feasting and celebrating were enjoyed by ancient Greek women. It took a fully 1,200 years before the men cottoned on with the earliest records of Stag nights being amongst the ancient Spartans who threw a final night or feasting toasting and drinking and other Spartan-y things to honour their men before marriage. What about “Hen” then? In 1897, The Deseret News observed of a ‘hen party’ that ‘time honored idea that tea and chitchats, gossip smart hats, constitute the necessary adjuncts to these particular gatherings’, though the Hen term may simply derive from the slang term for women that has existed since the 1620’s. Since then, and probably long before, pre-marriage ritual has been about in various guises across cultures and marks the important passage into adulthood responsibility, commitment and departure from childhood. Many French speaking countries even call Stag do’s the “enterrement de vie de garcon” which means “the burial of the life of the boy”….Catchy. Despite being something we mean and women have been doing for milennia, it doesn’t stop us from getting them, sometimes horribly, wrong.